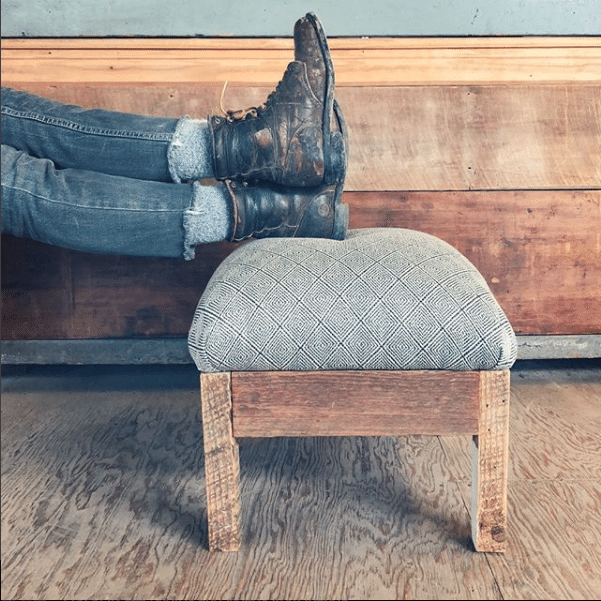 Kick up your feet or take a seat on your new handmade ottoman! 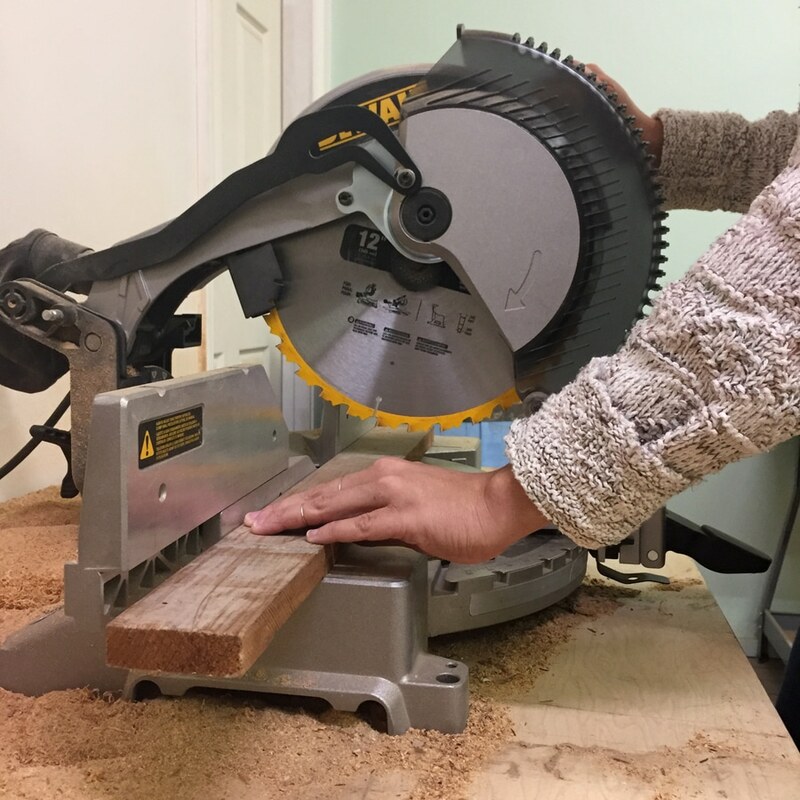 In this workshop, you’ll pick up a few basic woodworking skills as you assemble an ottoman frame made from reclaimed wood. 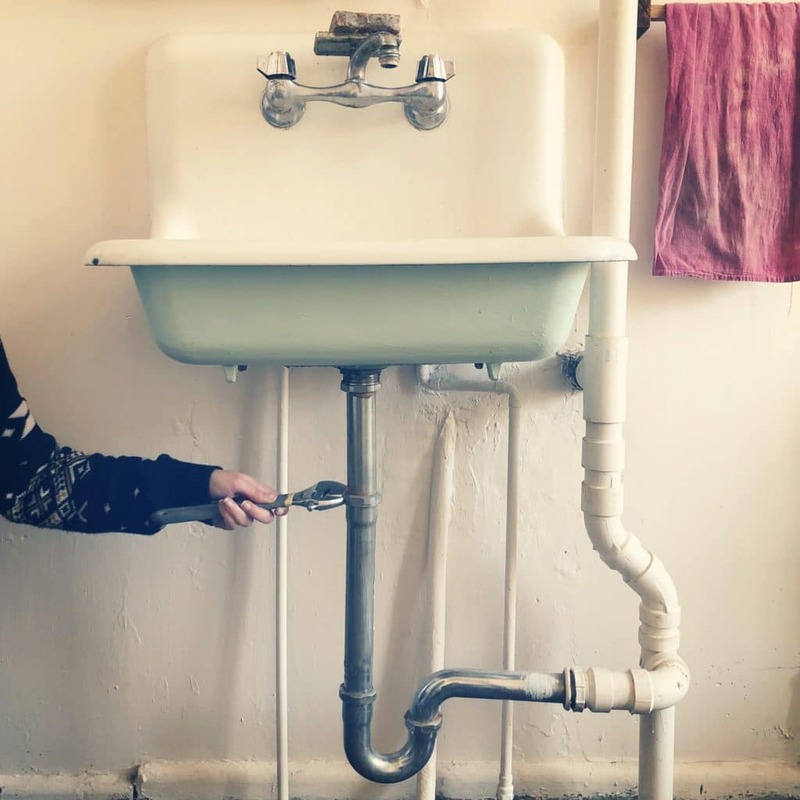 Then, you’ll learn the ins-and-outs of upholstery as you create a custom cushion from salvaged materials and cover your piece with contemporary or vintage upholstery fabrics. Leave this class feeling amazed that you built a new centerpiece for you living room from start to finish. Cancellation Policy: Perennial reserves the right to cancel, combine or reschedule classes to adjust for enrollment. If Perennial cancels a class, you may transfer to another class or receive a full refund. Refund Policy: Notice of withdrawal from a workshop must be made at least 14 days prior to the start of the class. No refunds will be given for withdrawals made after that time. No refunds or credits will be given for classes missed due to illness, personal conflict or other reasons. There are no exceptions to this policy. 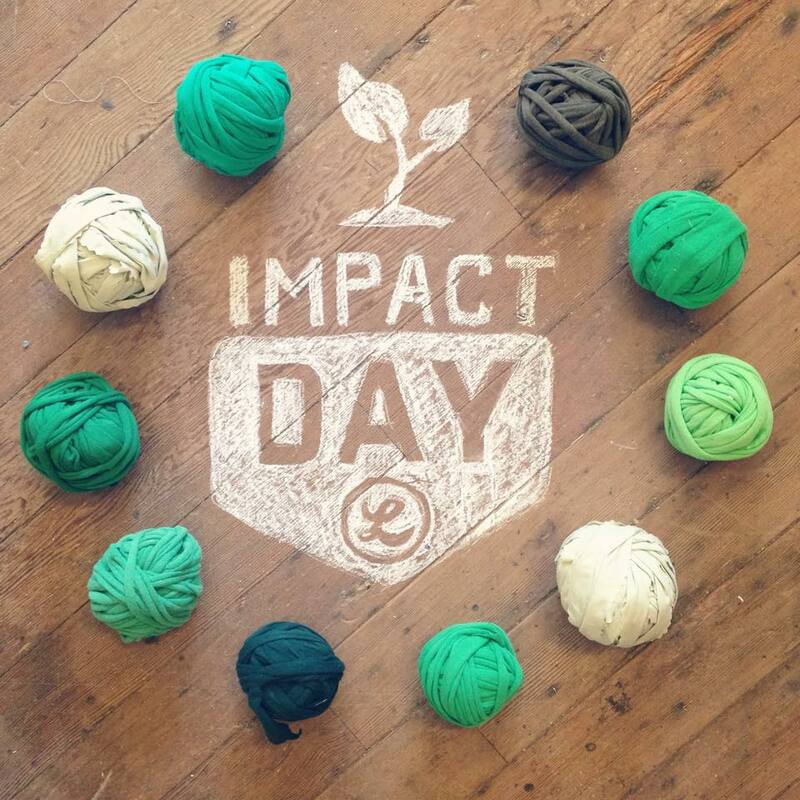 Please e-mail classes@perennialstl.org if you wish to withdraw from a workshop. strict liability of any Released Party or otherwise. liability, damage, or cost which any Released Party may incur as a result of such claim. in full legal force and effect. is good and valuable consideration for each of the rights, obligations and agreements set forth herein. without payment or any other consideration. by reason of this authorization. By accepting the Terms and Conditions, I certify that I am 18 years of age or older. I certify that if I am not 18 years of age, a legal guardian has accepted the Terms and Conditions on my behalf. We need your VOTE for $25,000! Perennial has been selected as State Farm Neighborhood Assist Top 200 Finalist, and we’re in the running for a $25,000 grant. 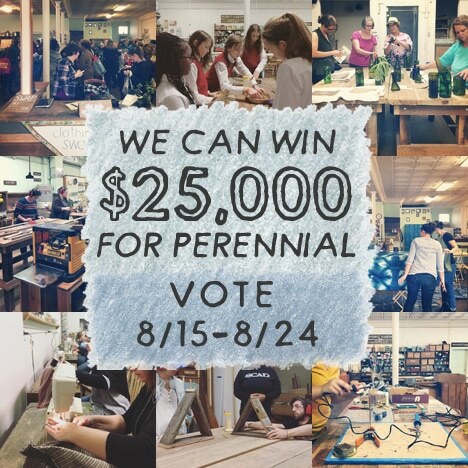 From Wednesday 8/15 – Friday 8/24, you can cast 10 votes each day to support Perennial!